Lush Fab Glam Inspired Lifestyle For The Modern Woman: Luxury Shopping At Affordable, Tax Free Prices. Luxury Shopping At Affordable, Tax Free Prices. Luxury Shopping At Affordable, Tax-Free Prices. This post brought to you by The Outlet Collection | Jersey Gardens. Today we're sharing our secret shopping haven, where we stay ahead of the trends and find chic, luxury items, tax-free deals and discounted prices you simply can't pass- up and it's only 30 minutes from NYC! 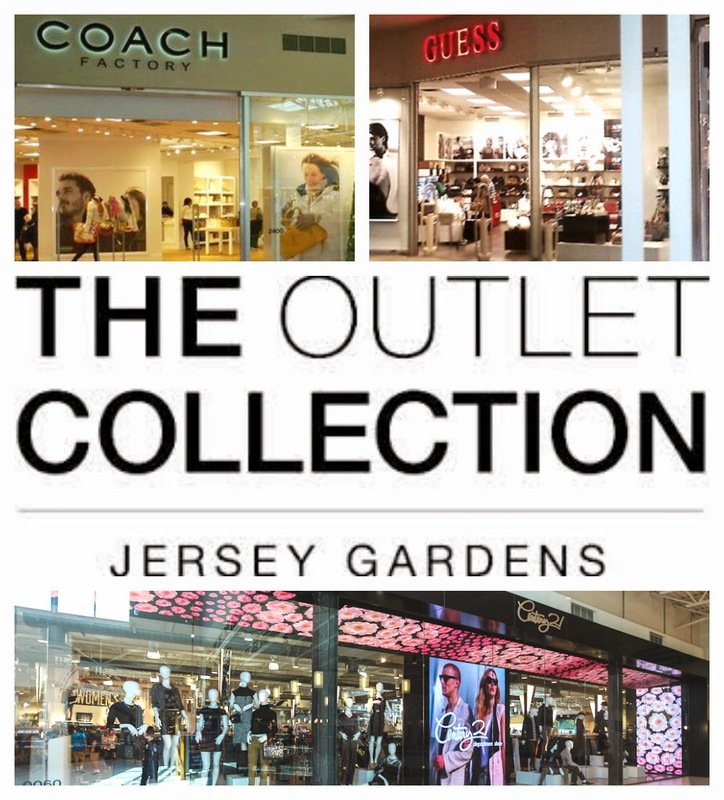 The newly transformed The Outlet Collection | Jersey Gardens is the "it" place to be for all fashion lovers. We had a fabulous time shopping at some of our favorite stores, including G by Guess, Michael Kors, Saks Fifth Avenue OFF 5TH, Coach Factory Store, Calvin Klein and more. The key words in our previous statement were "outlet mall," and being the bargain hunters that we are. We snagged gorgeous fashion, accessories, shoes, jewelry, beauty products, housewares and more from some of our favorite designers, brands and stores, at a fraction of the cost. And by that we mean 40-60% off the retail price. shopping in New Jersey can only be described as a day in fashion heaven! Now that we're all stocked up on our fall into early winter wardrobe essentials, we couldn't possibly keep our secret shopping-on-a-budget destination to ourselves. If you live in the NYC/NJ area, or if you are planning a trip to New York City soon, be sure to add The Outlet Collection | Jersey Gardens in Elizabeth, NJ to your must-visit places list. You wouldn't want to pass up a tour of New Jersey's largest indoor luxury fashion outlet center, especially since they offer tax-free shopping on their already discounted clothes and shoes! Make it a girls' shopping weekend, or even a couple's shopping trip. 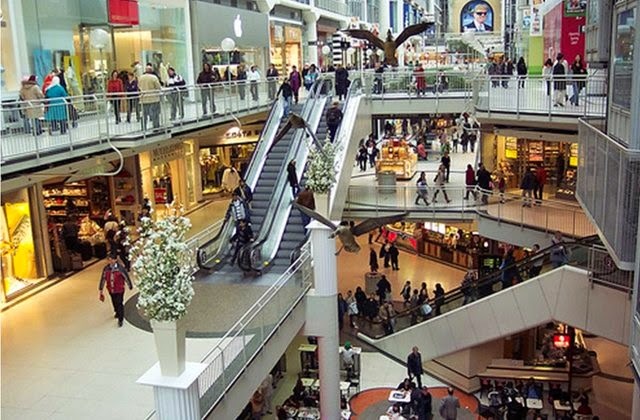 During your shopping excursion, enjoy a meal at one of the sit-down restaurants, watch a movie at the theatre complex, or grab a quick bite from their deluxe food court-then get back to shopping from over 200 premium retailers. Visit www.jerseygardens.com for the full store listing. Before you know it, our chic shopping wonderland, The Outlet Collection | Jersey Gardens, will become your number-one destination for stylish items from the labels you love in every season! Inside The Outlet Collection Jersey Gardens. 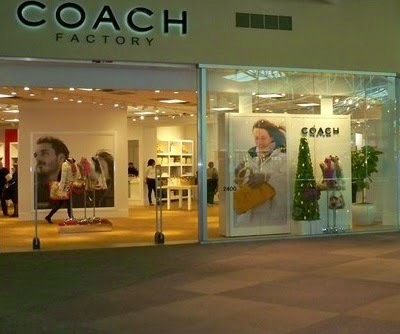 Getting to the New Jersey outlet mall is a breeze, with quick and easy access from Manhattan via NJ Transit Bus #111 from the Port Authority Bus Terminal. Also, it is only 10 minutes by shuttle from Newark Liberty International Airport. Or simply take the NJ Turnpike Exit 13A. This post is brought to you by the Outlet Collection Jersey Gardens in collaboration with Coach, Guess, Michael Kors, Saks Fifth Avenue OFF 5TH and Calvin Klein. All opinions are mine.